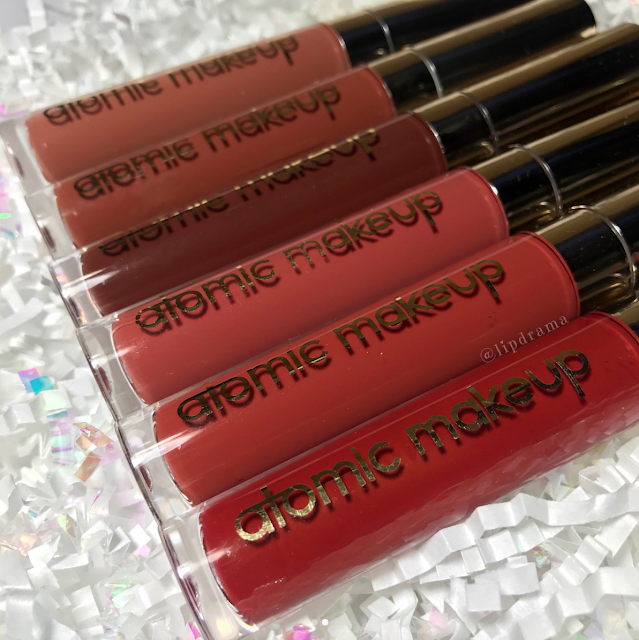 Atomic Makeup NYC is an indie brand based in New York City and their product offerings currently include liquid lipsticks and lip glosses. If the name doesn't sound familiar then maybe Lonely Planet does. Before Atomic Makeup NYC rebranded they were known as Lonely Planet but they have recently relaunched and started with a clean slate. 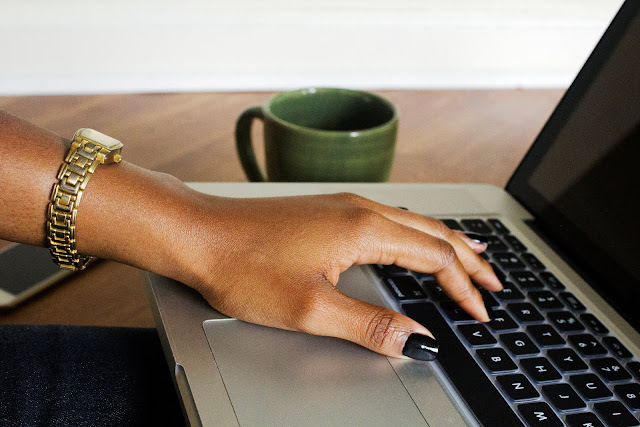 I have only heard good things about their products and have wanted to try them for a long time so I'm excited I get to review them for you today. 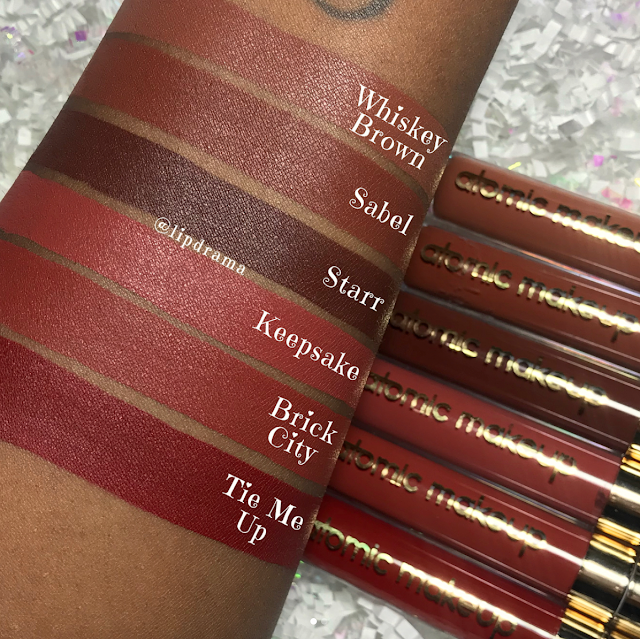 Whiskey Brown, Sabel and Starr are new shades from their Fall 2017 collection while Keepsake, Brick City (cult fave) and Tie Me Up are classic shades that were brought back. 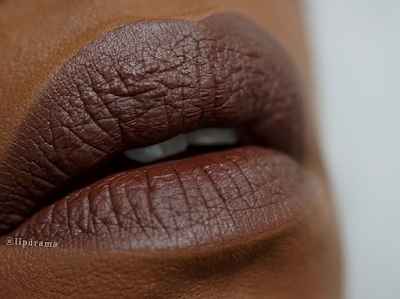 The formula is liquidy so it’s not a mousse-type liquid lipstick, which means use a lip liner or be very careful if applying using the applicator so that you don’t have a lot of cleaning up to do around the edges. They are pigmented and most of the shades pictured were good with just one layer but I always apply two for good measure. These liquid lipsticks are very comfortable and long lasting. They dry matte and are transfer-proof but not smudge-proof. So just pecks. No smooching! While they're not indestructible this means they're not as drying as some liquid lipsticks can be, which can be uncomfortable. So just be sure to carry it with you for a quick touch up after eating. I only had to apply a small amount to the center of my lips. Atomic Makeup NYC has over 20 liquid matte lipsticks in their current line up. They retail for $13 but they have sales often. In fact, select shades are on sale right now. Shop their Silky Matte Lipsticks here. Have you tried this brand yet? A sample of this product was given to Lip Drama for editorial purposes, either directly from the manufacturer or from the agency that works on behalf of the manufacturer. All reviews on lipdrama.blogspot.com are the honest opinion of its author and editorial samples do not, in any way, affect the outcome of product reviews. For more information, click here.